Explore the magic of Münster from a different perspective – from above! 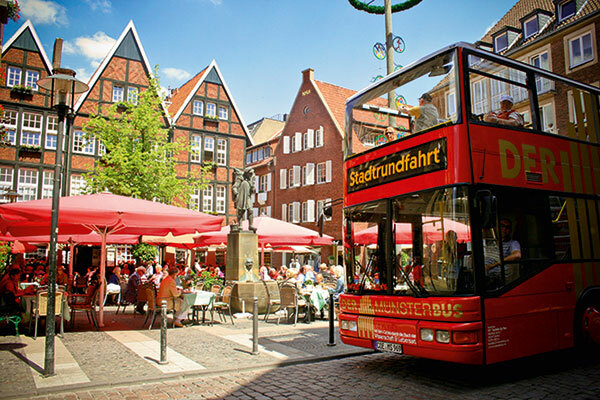 The MÜNSTERBUS will take you on an unforgettable sightseeing tour of Münster on a double-decker bus. The tour commentary – available in six different languages – is given via loudspeakers and headphones.